One of the first products of the famous Cardinals' farm system, "Sunny Jim" was named NL MVP in 1928 for hitting .325, 31 homers, and driving in 136 runs. 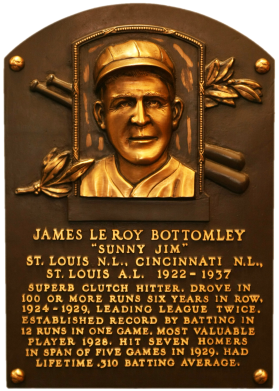 On September 16, 1924, Bottomley knocked in 12 runs with six hits against Brooklyn. Had had a career .310 batting average and 1,422 RBI. Comments: In July, 2000 I picked up a raw tribute card of Sunny Jim - a 1983 Diamond Classics card. I had the item graded by PSA and it was slabbed NM-MT. 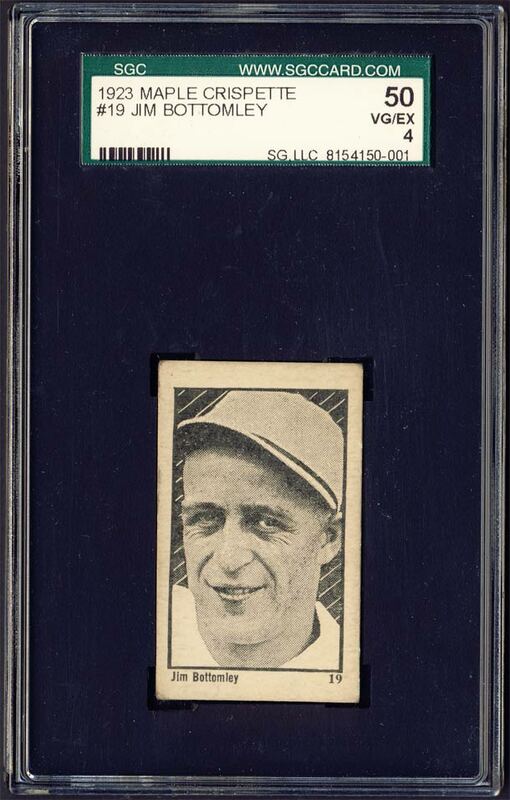 It was a temporary placeholder until I could get my hands on a 1923 V117 Maple Crispette Rookie Card where Bottomley looks a lot like Munster. In February, 2005 I was thumbing through a Larry Fritsch catalog and found one. I called them up and it was still available for the cheap price of $225 in raw form - a score. It was later graded GOOD 2 by PSA. In November, 2008 I worked out a trade with another collector sending them my PSA 2, a V117 Sewell PSA 5 and a V117 Roush PSA 5 for this SGC 50. The card has slight touches on the corners and clean reverse. No wrinkles or creases. 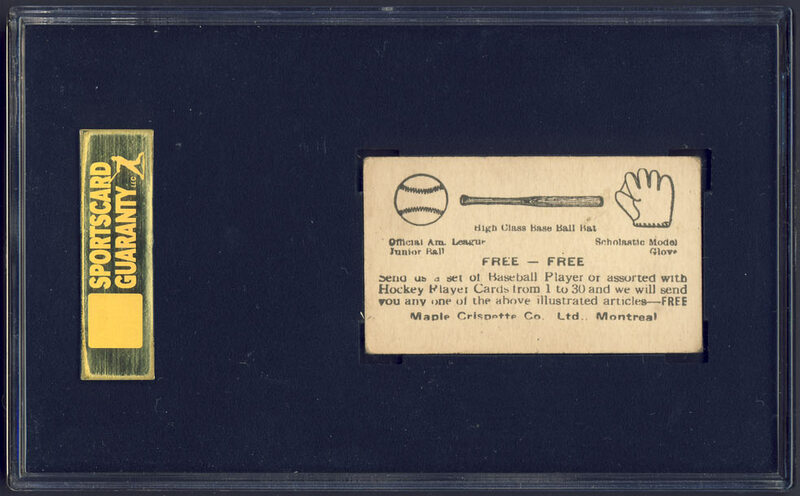 Description: Issued by a Montreal candy company, these small (1-3/8" X 2-1/4") black-and-white cards were redeemable for baseball equipment, accounting for their scarcity today. 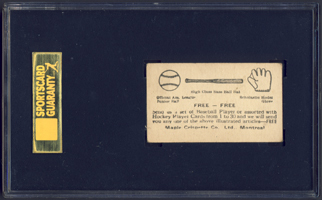 Card #15, Stengel, was only discovered in 1992 and was obviously short-printed by the issuer to avoid giving away many bats, balls, and gloves. Only a single specimen of the Stengel card is currently known.